Are Rohingya refugees of the recent crisis going back to Myanmar any time soon? How much do they know about the Repatriation deal and were they even part of the process? Xchange says it’s not a case of when, it’s a case of how. 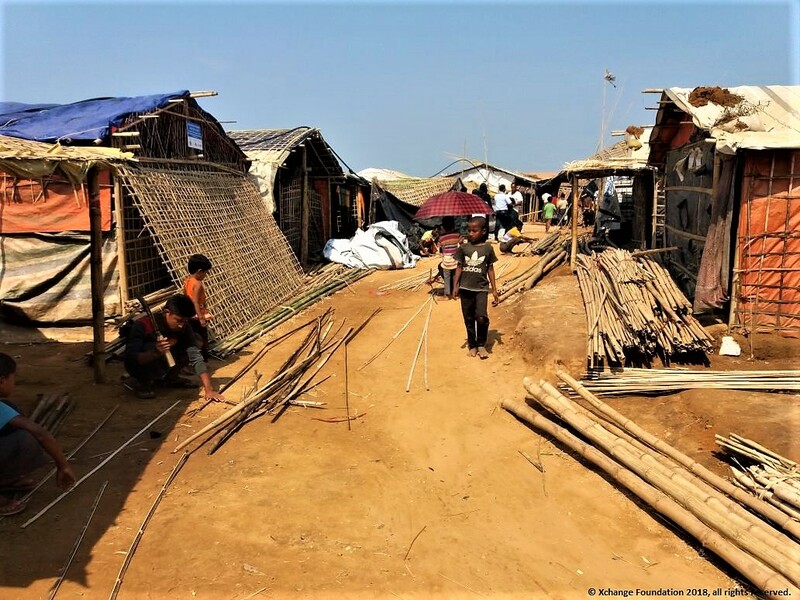 The team has just published a report looking at what over 1700 Rohingya refugees across a dozen camps, know and feel about returning to Myanmar. Giving a voice to the Rohingya, Xchange is showing their drive to go home but not to the way it once was. Joining me to discuss their findings is Research Assistant, Ioannis Papasilekas. What prompted you do to a Repatriation Survey at this time? Well first of all, you know that we did two other surveys in 2017 and 2018, they were both about Rohingya refugees and their lives in the camps. What we basically did in these two surveys is we gave interviewees the opportunity to openly share their views and feelings about their lives in the camps. The situation in Myanmar came up clearly as a topic of discussion. Many people discussed about not wanting to go back or definitely wanting to go back. At the same time, talks about implementing the Repatriation deal between Bangladesh and Myanmar came up and new articles were being written talking about the voluntary notion of it and how it could be implemented in this situation. So, we thought it was a really timely matter and be really interesting to investigate it ourselves and give a voice to those people who have not been heard from before. Therefore, we decided to bridge that gap and conduct our own research and find out whether and how they feel about Repatriation, Rohingya themselves. On reading the report, one of the key findings that really sticks out that just over half of the refugees that you surveyed, only that half, had knowledge of the agreement. What does this finding really tell us? Well indeed, that was one of our most unexpected findings and a very interesting one I’ll say. It can be taken two ways. First of all, some people might think that, ‘Wow, only half of the population know about Repatriation which is something you would not expect’. However, I took it the other way, because thinking that Repatriation should be voluntary, we would imagine that most people would know about it or at least have a basic knowledge about it. So, finding out that just 52% of the population knew about the deal or had heard about it, and specifically only less than half the women knew about it. We interviewed more women which means that less people knew about it, did not really coincide with our expectations. We can say that this finally proves that the voluntary notion does not apply in the Rohingya situation. How can someone who does not have the appropriate knowledge make an informed decision about it? How can they decide about their own and their family’s future if they don’t know the basics behind this whole deal. From those who did know about repatriation, how were they finding out and what did they know about it? Well yes, we first of all asked them how they first found out, how they heard about it. Then we asked them how they keep getting informed during the process. Our findings show that men mostly had more overall knowledge than women. This could be explained that men are more likely than women to have access to cellphones, internet, radio, media in general. Whereas, women mostly get informed by word-of-mouth, like family, their husbands, their neighbours. With regard to their general knowledge, like how they get informed during the process, men mostly consult the majis who are the camp chiefs, because they have a better connection with them and they can discuss, and they are more likely to be out of their houses. Whereas, with women, they rely on their husbands for information. What they found about it with regards to their knowledge, they mostly gave their opinions as to how and why Repatriation should happen or why it should happen. Most of them thought that it would happen eventually because they thought that Bangladesh is overpopulated. That is something that probably came up in the media and so that made them think that its overpopulated so they cannot really accommodate so many people at the same time. Whereas, other people said that this could be propaganda by the media, maybe both countries have an ultimate plan to eradicate Rohingya. Finally, there were many people who actually thought there is light at the end of the tunnel and probably both governments have decided that it is finally time for Rohingya to be given their rights. These are the opinions that came up in our survey. Did you learn anything about what the Rohingya refugees in BD were learning about the attitudes in MM towards their return? Well yes, not exactly. We did not have a question like this and basically people did not really know how the locals in Myanmar perceived the situation. But, many people told us they had relatives in Rakhine State, Myanmar, currently. So. they told us their views. They basically expressed their fears and the fears of those people who are still there [in Myanmar]. They have told them that the situation has not changed. There was no respondent who described the situation as good enough for return, let alone as ideal. Even more so, they portrayed the situation as chaotic, saying that the Rohingya there [in Myanmar] are still experiencing acts of violence, looting of their properties, therefore they don’t know what the future brings. They are all waiting for some formal information to come up. Exactly. Everyone has their own opinions and what they’ve heard from their own families back there but they do not have access to what is being said behind closed doors. So If I was to go down the road of the Yes and Nos to going back. From the findings, it looks like you found that a majority of respondents actually wanted to go back to Myanmar compared to a smaller number who said they wouldn’t? Why do so many favour return, and did they share what their perceptions of what going back would look like? That’s a very good question. We found that the majority, and when I say the majority I mean 97.5% want to go back. But, what we should notice is that those people do not want to go back without any processes being taken towards that so they have certain demands. These demands include receiving their nationality, being accepted as Rohingya, being offered similar opportunities to the locals there [in Myanmar] or being treated as equal human beings basically. Being given their properties back because most of the people said that they were not homeless when they were in Bangladesh. ‘People have taken our homes, they have killed our husbands and our wives’. They know that this cannot be solved but they want justice, they want the perpetrators to be taken to court and they want their properties back because they cannot return if they don’t have homes, they don’t want to go back to camps. They don’t want to simply shift the situation from Bangladesh to Myanmar. This has been something that has been proposed already. So, they basically want to start a new life in a different way. We also found that only 0.3% which is like a really small number, would go back unconditionally. This is something that probably could be understood because they have family there and would want to see them again. We don’t know exactly why, but it’s only a small number. We also asked them if they were afraid to go back and as you can understand, this is probably why those people don’t want to go back without those conditions being met. 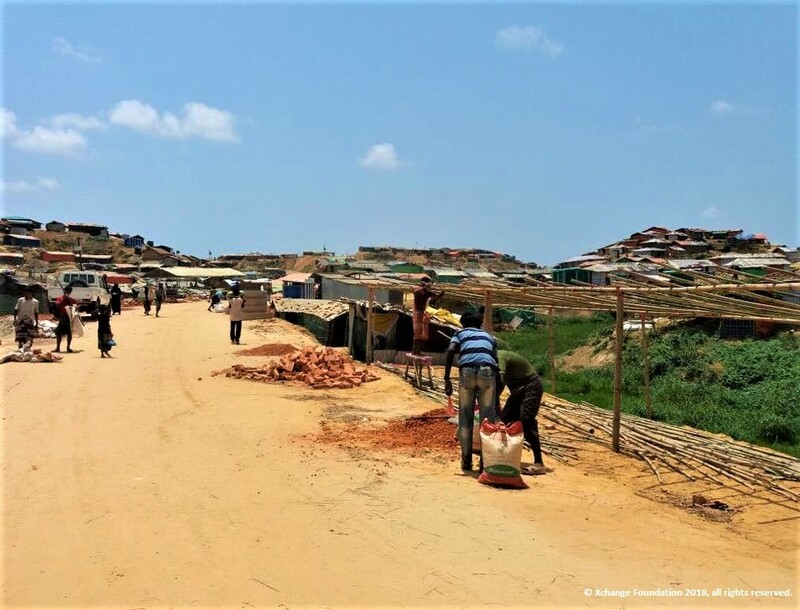 Ninety eight percent of the adult Rohingya population are afraid to go back, and they have shared their fears why. I can tell you that their fears are results of their already lived experiences. Nobody described a fear that came out of nowhere for example. Everybody mentioned having experienced something really traumatic that they don’t want to feel again. To give you an example, we had people over the age of 70, men not women. They were sharing how before they even left Myanmar, how they were seeing women and children being kidnapped, raped. So, if you can imagine, those people have seen everything and they were men who could not really support their families. So, you could understand how strong their fears were. Of the Nos, did any express a desire to stay and if so, did they elaborate on the reasons why, staying in Bangladesh in this case. Well. The vast majority say they don’t want to stay in Bangladesh permanently. The question was about if they want to stay permanently. There were only a few people who both do not want to go back to Myanmar and would happily live in Bangladesh. Still, those people expressed their concerns about it as well because staying in Bangladesh in a place where they don’t have opportunities or they’re not allowed to move freely, it’s not something ideal I can imagine. So, they also gave us their demands. 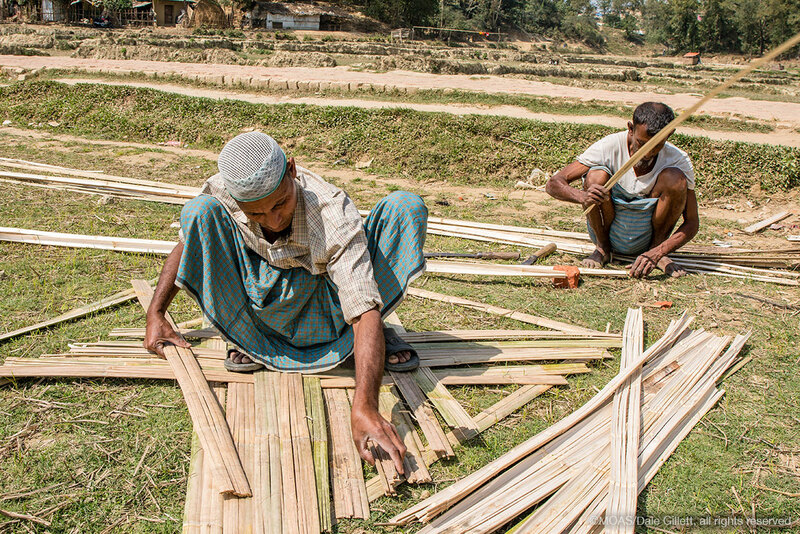 They want to be given opportunities with regards to employment, with regards to education for their children and themselves so that they can start to build a new life in Bangladesh. But, these people were not many, that’s the thing, the vast majority want to go back. There were a few individuals who had such traumatic experiences that they do not want to stay in Bangladesh either so they suggested that they would be taken somewhere else. 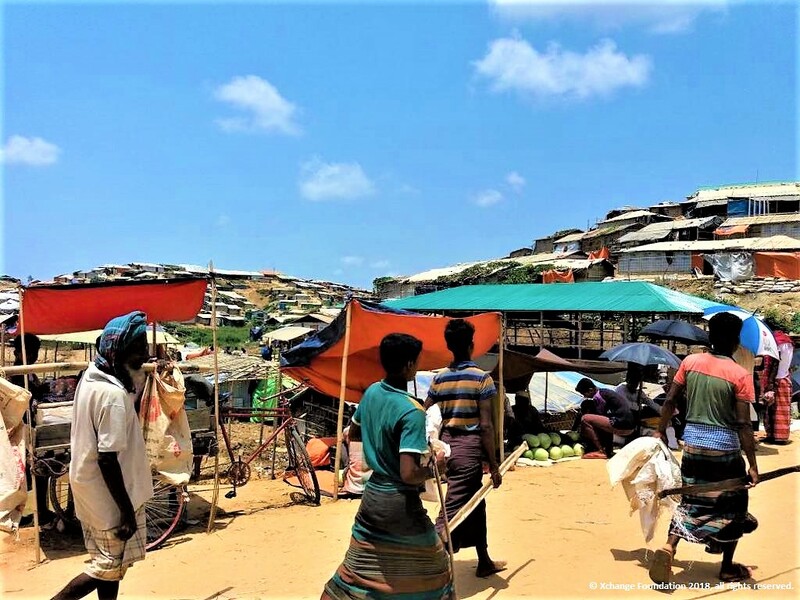 As a conclusion, I can tell you with certainty that every Rohingya, the vast majority, at least 99%, either wanting to go back or wanting to stay in Bangladesh. They basically want to be accepted as Rohingya. They want to be accepted as citizens of a country, even if its Bangladesh and Myanmar. They want to be given the same opportunities. They are not demanding anything extreme, they just want their basic rights as human beings. They want to feel equal, that’s it. Persecution and repatriation are a decades old story told about the Rohingya living between Myanmar and Bangladesh. 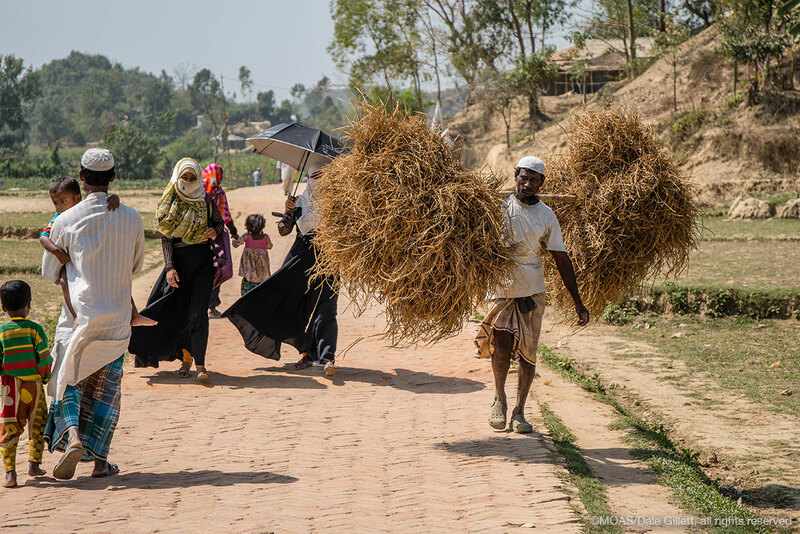 At this stage, there have been no concrete statements on what Rohingya can expect on return. You can also follow us on our social media. 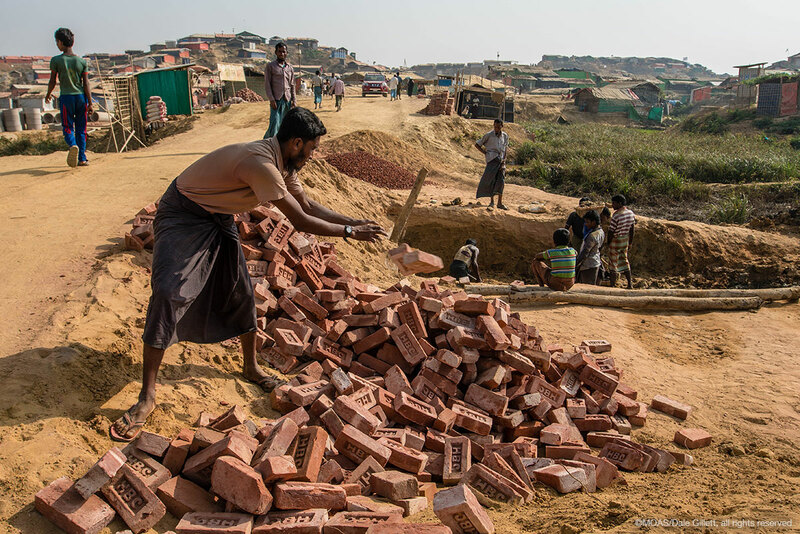 Check out our latest updates on Facebook, Twitter, Instagram, Youtube and AudioBoom, or you can donate to help us help Rohingya refugees . From all of us here at MOAS: goodbye.